Nothing say spring time like a nice bowl of fresh peaches. 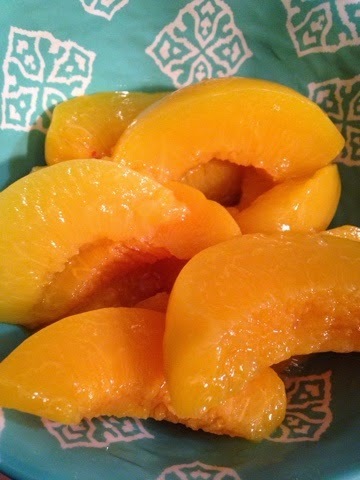 I love peaches... I love peaches in pie, in tarts, in smoothies, in cobbler form. I've never had a peach that I don't like. I attribute my love for peaches to Roald Dahl's children book, 'James and the Giant Peach'. His wonderful novel glorified these fuzzy fruits for me and I've never looked back.